After becoming #4 in the 1970 Eurovision Song Contest with the song Gwendolyne, Julio Iglesias has been traveling the globe for more than 40 years, selling more than 300 million albums, earning 2600 gold and platinum records, making him the most loved Spanish singer ever. He has now released this double album called 1. "This album is dedicated to all the anonymous fans, who have followed me through my 44 year long career, all the devotion and love makes me go on. They will always be my motivation and why I carry on", that is what Julio Iglesias himself write about this double album. It is a bit unusual, but lets start with CD2. It is all in Spanish containing 18 tracks, which all works. With a slight exception of track 12 Amor, Amor, Amor, a major hit for Iglesias worldwide, but sorry to say it, this is just silly in my years. It is relief to hear another language than English, nothing wrong with that, but sometimes it’s just good to hear something else – and that even if I don’t understand more than a few words of Spanish. On CD2 we get to hear a lot of good tunes all in the style of easy listening, I’ll not go through them one by one, but pick out a few. Track 3 Me Va, Me Va has a nice touch of night club atmosphere to it. Close your eyes and the summer nights will never end. Nice up tempo, castanets and guitars in the nice Spanish style. Track 7 El Dia Que Me Quieras is a grandiose ballad. It has blend of accordion the saxophone and a lot of strings. Sound Strange? Actually not, they sound brilliant together, and it has all the quality of being the love song in either one romantic Hollywood film, or a musical. On track 13 Derroche you get to hear how Twin Peeks met the night clubs in Havana. Odd? No, it’s a song that moves around in different styles, because it also have a short trip into the sound of the ‘80’s. The last track on CD2, number 18 Lo Mejor De Tu Vida is simply just lovely, the best on the album. One splendid ballad, where Iglesias’ voice melt together with the orchestra, taking you out on a romantic love travel. I admit, behind my Rock ‘N’ Roll image, I love these songs. On CD1 we get a mix of English language songs, some with Julio Iglesias alone, others as duets with some of the world’s biggest names, and one duet in Spanish. A fine mix. The album opens up with one of the most loved country songs Crazy written by Wily Nelson, and here there are no surprises as it’s very loyal to the original. On track 10 To All The Girls I’ve Loved Before, we actually get Iglesias and Willy Nelson together in what cut be called "The Men’s Anthem". It’s great to hear Julio’s soft voice against Nelson’s rough and rusty voice. Track 5 And I Love Her is a Lennon and McCartny song. Many artist has over the years broken failed in trying to sing Beatles songs, but Iglesias gets away with it, because he makes it his own. He is not trying to become a Beatles sound alike. The next song in line is best known in Elvis Presly’s version. Allways On My Mind, is here in a slower version, and it works. Tracks 8 and the rest of the album are all duets. We get to hear Sting, Art Garfunkel, Diana Ross and many more. I’ll just pick a few. Track 13 When You Tell Me That You Love Me with Dolly Parton , has all the pathos a man/woman love ballad needs. Track 14 Summer Wind, is held 100% in Frank Sinatras version, with music and all. I don’t think they ever met in the studio, Iglesias’ voice is simply mixed into the song. Stepping a little back, track 9 Caruso, is the Spanish duet with Lucio Dalla. It really stands out on this album together with one of the all time classics, which is Smoke Gets In Your Eyes, track 16. 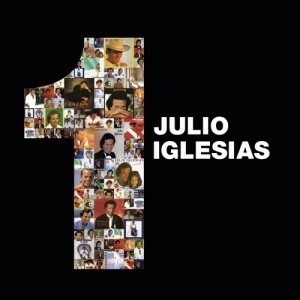 Originally with The Platters, here in a fine up dated version between Julio Iglesias and ALL-4-ONE. The only song to let the album down is the one that closes CD1; As Time Goes By. Originally it’s from the 1942 US film Casablanca, starring Humphrey Bogart and Ingrid Bergman. In the film it’s sung by Dooley Wilson. And his version is the best ever. Iglesias/Stephanie Spruill’s is to artificial to my taste. All in all a fine collection of songs. It should fit nicely into most record collections, I think. It is all romantic love songs, but they are in a very high quality and far from being boring. It’s an album I strongly recommend. It should have received the full 5 hearts, but the two tracks, 17 on cd1 and 12 on cd2, puts it down to 4 ½ however with a arrow pointing up.